Brent Kirby (center), 23, from Florissant, and Del Foster (right), 20, from Ferguson, check out the burnt out QuikTrip in Ferguson, Mo. on Tuesday, Aug. 12, 2014. 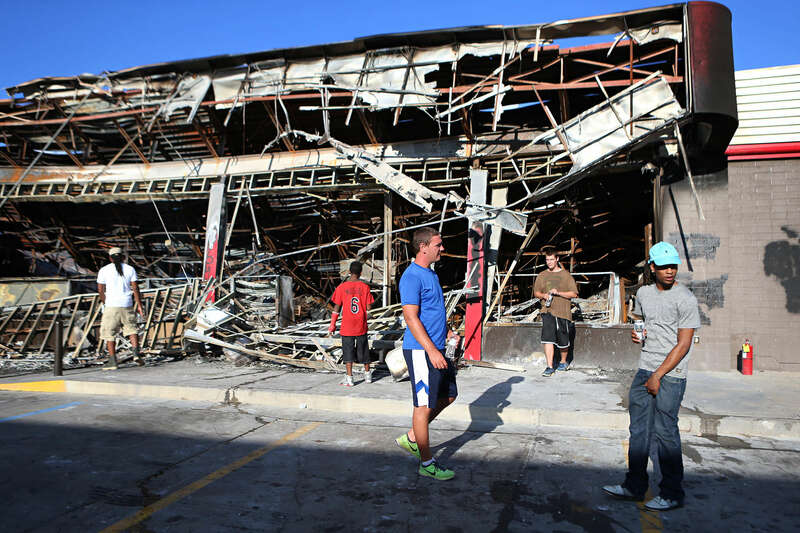 The QuikTrip, that was burned down by looters two days earlier, become a focal point for clashes between police and protesters.